The Mount Pleasant Police Department is seeking the public's help to identify the person(s) responsible for stealing the trailer pictured below. | Crime Stoppers of the Lowcountry: 554-1111 | 1-888-CRIME-SC | Anonymous tips earn cash rewards with Crime Stoppers of the Lowcountry. Home | News | The Mount Pleasant Police Department is seeking the public's help to identify the person(s) responsible for stealing the trailer pictured below. The Mount Pleasant Police Department is seeking the public's help to identify the person(s) responsible for stealing the trailer pictured below. 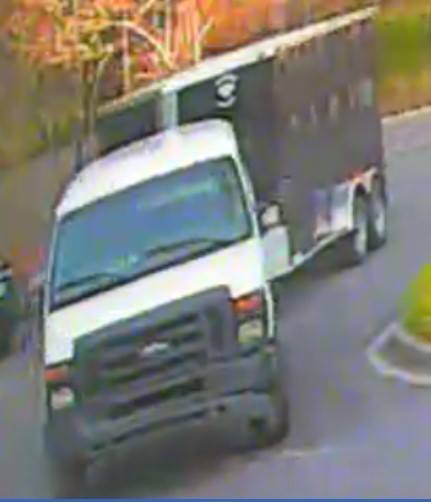 On April 4, 2016 at about 7:00pm, the suspect(s) stole a utility trailer from Germain Dermatology located on Seacoast Parkway using the white van seen in the pictures.